It’s almost Thanksgiving and there is no better time than now to start your entertainment planning. 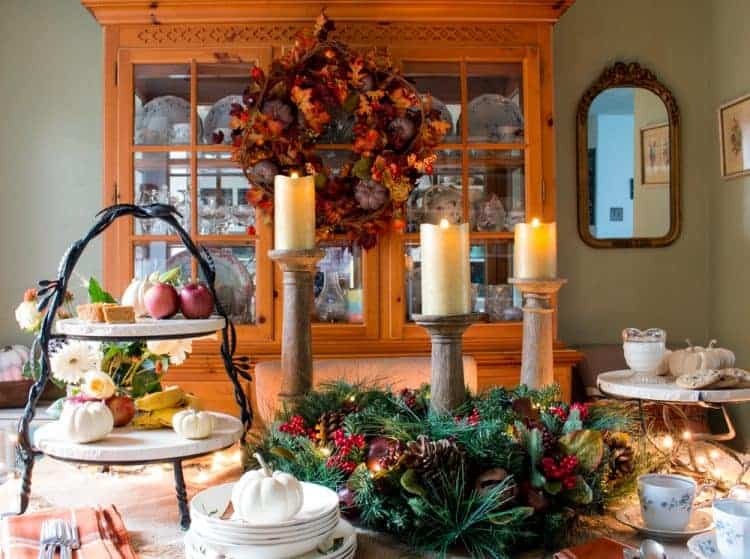 Today, I’m thrilled to be partnering with Balsam Hill in this sponsored post to share ideas for creating a simple yet beautiful Thanksgiving Guest Buffet, plus, there are two giveaways to celebrate the season and the details are at the bottom of this post. Also, please humor me. I took pictures of the tablescape at night with the twinkling lights and early in the morning just so you would know how it looked in both settings. When I was a teenager my father became ill and was hospitalized over Thanksgiving and that’s when my older sister took over the hosting responsibilities. 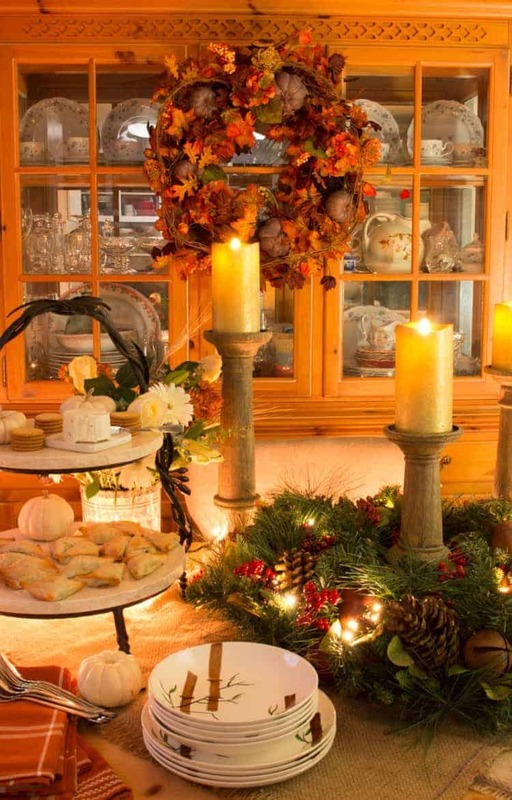 Ever since then, I, and my family, have celebrated with joy Thanksgiving dinner at her home. We always look forward to not only the precious family time, but the food. 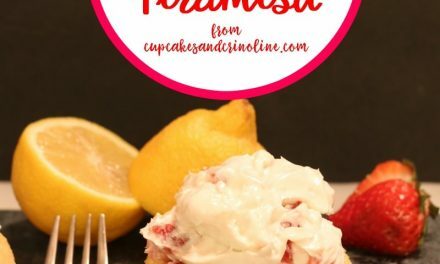 She is an AMAZING cook! 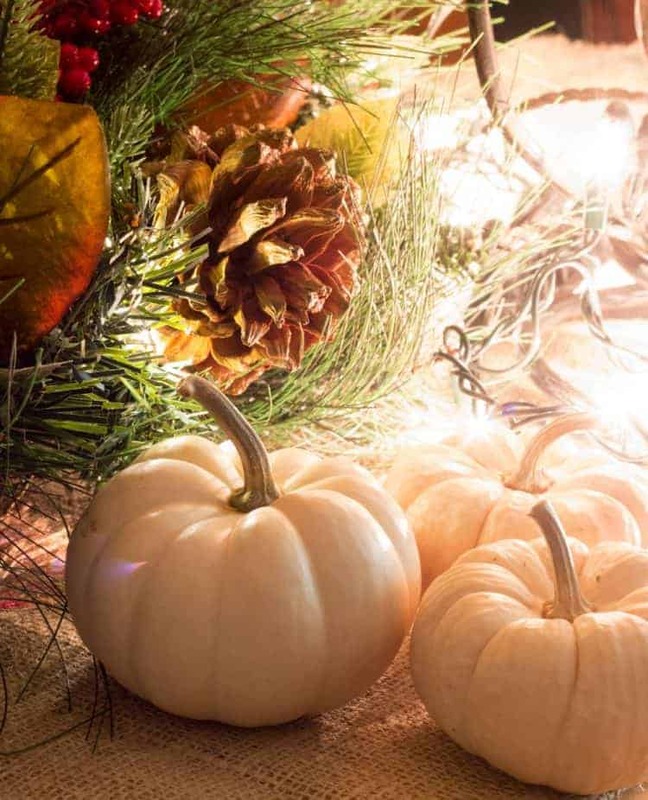 We have turkey and all the fixin’s plus side dishes as far as the eye can see and every year there seems to be more people….which is such a wonderful blessing. Kids running around and playing and new memories being made. 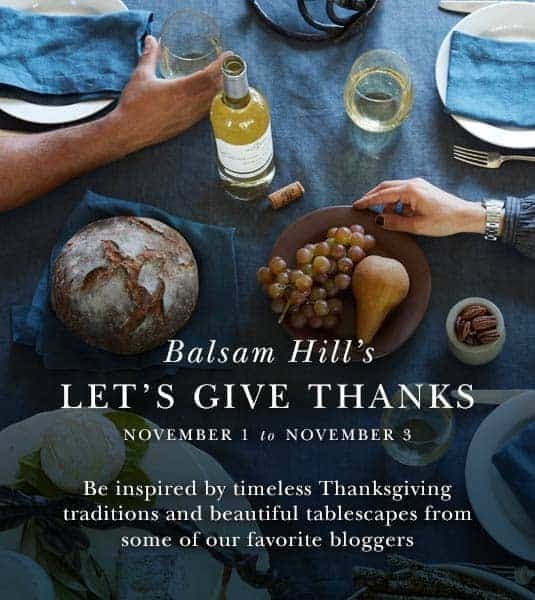 With that in mind, I don’t get to flex my tablescape muscles much for this wonderful holiday but this year when Balsam Hill approached me about their Let’s Give Thanks campaign I knew it was a perfect fit. 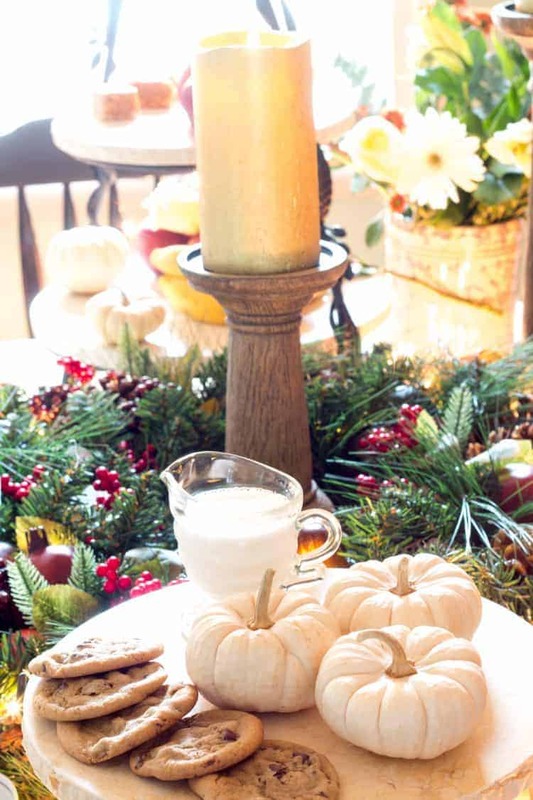 I have so much to be thankful for and I usually have a tendency to head right past Thanksgiving when it comes to entertainment and decor and head full on into Christmas but as one of my sons said to me yesterday after seeing my tablescape, “Mom, let’s leave this up so we remember all that we have to be thankful for.” Oh, my heart! 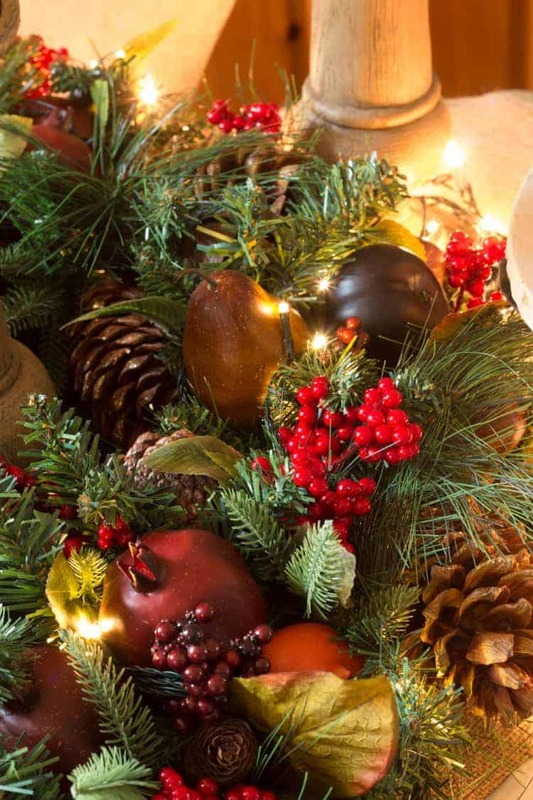 He is so right and it is such a pretty way to serve family, friends, and guests and create that atmosphere of thankfulness and, I love how it will easily transition into Christmas. 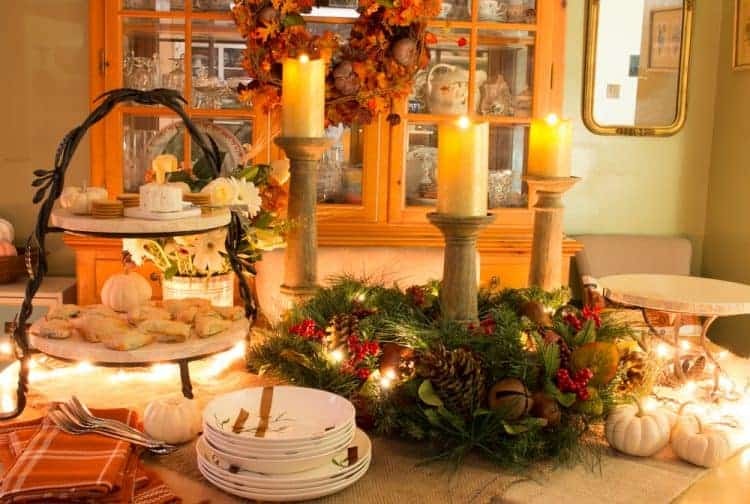 I don’t have a buffet but I do have a dining room table and that is my backdrop for all of these beautiful items from Balsam Hill. I started by placing two burlap sacks on the table. I then topped them with the Charlestown Decorated Wreath. This wreath will be going either above my mantel or on my front door for Christmas but for now, it’s the centerpiece of my table. It lights up (I have to have lights!) and has the prettiest, most rustic, large, and jingly bells attached to it. 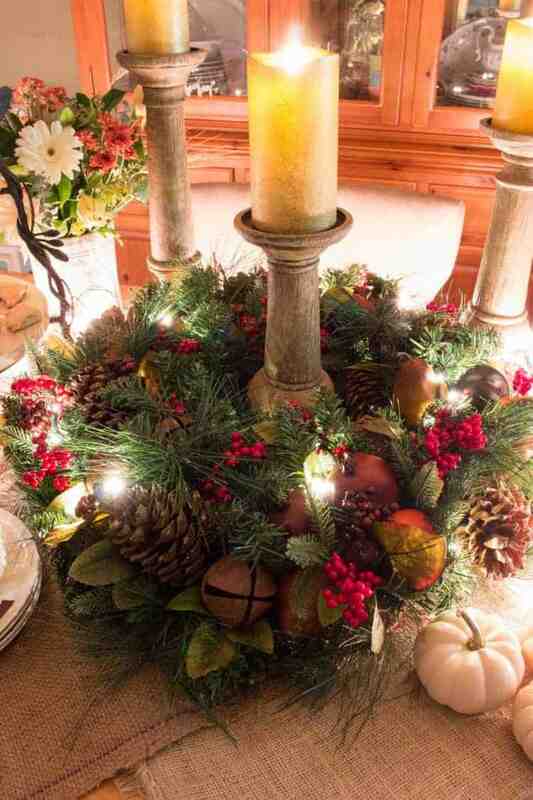 Next, I placed Faux Bois Candle Holders in Rustic Oak around and within the wreath. These are large and beautiful and definitely an attention getter. Also, the plates center front, those were my Mom’s. 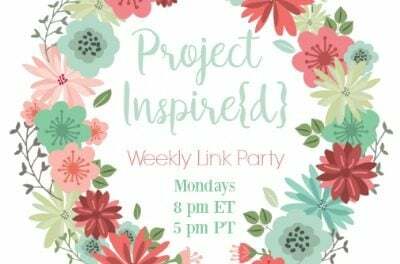 I always like to have something of hers on hand when entertaining because it reminds me of the wonderful mother she was and I get to share a story or two with my sons about her. Now, back to the tablescape. 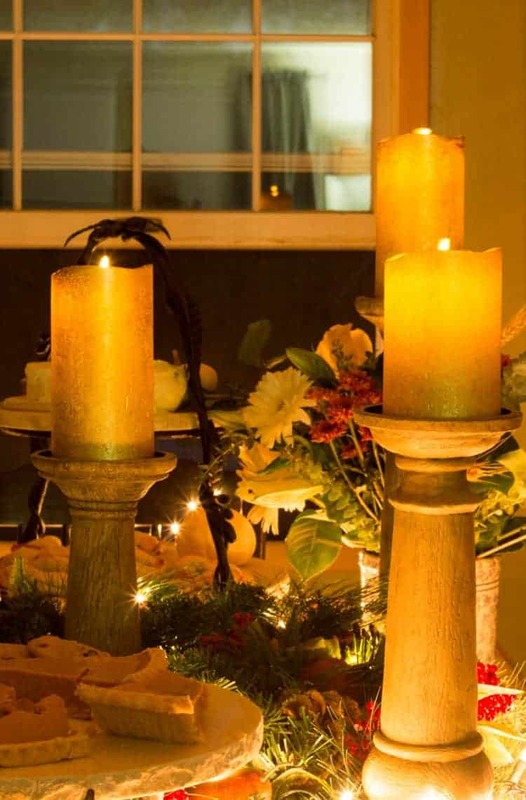 I topped the candle holders with Miracle Flame LED Wax Candles; 2 large, and 1 small in gold. I absolutely love these candles. 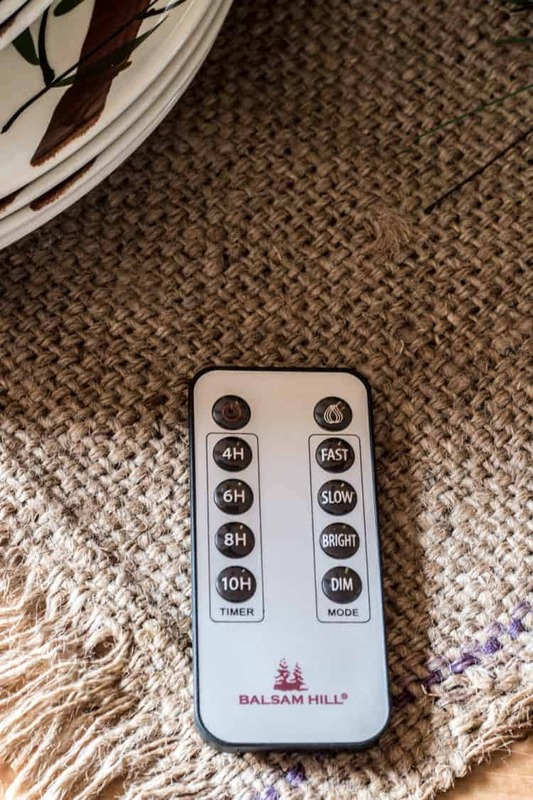 They look so real, have a handy remote control (look at all the options) and they are totally safe to use wherever you want to place them and no worries about wax dripping on your tablecloth. 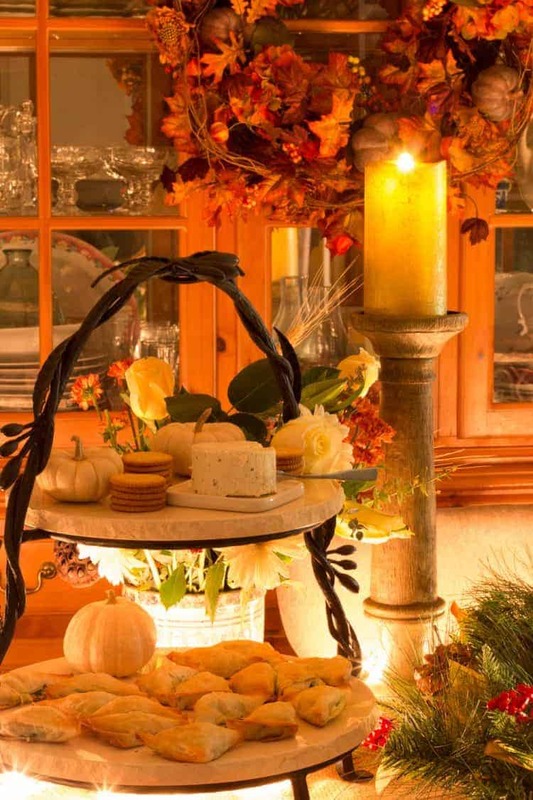 and the Tuscan Entertaining Cake Stand to the right. 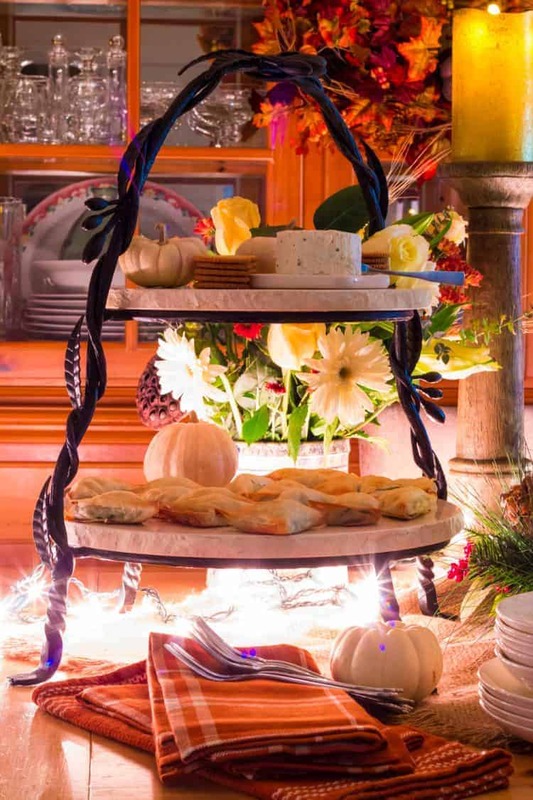 These beautiful stands with marble serving platters are a wonderful way to make the most use of your space. I used them for serving dinner and dessert the first night and the next morning I put some breakfast goodies on them. 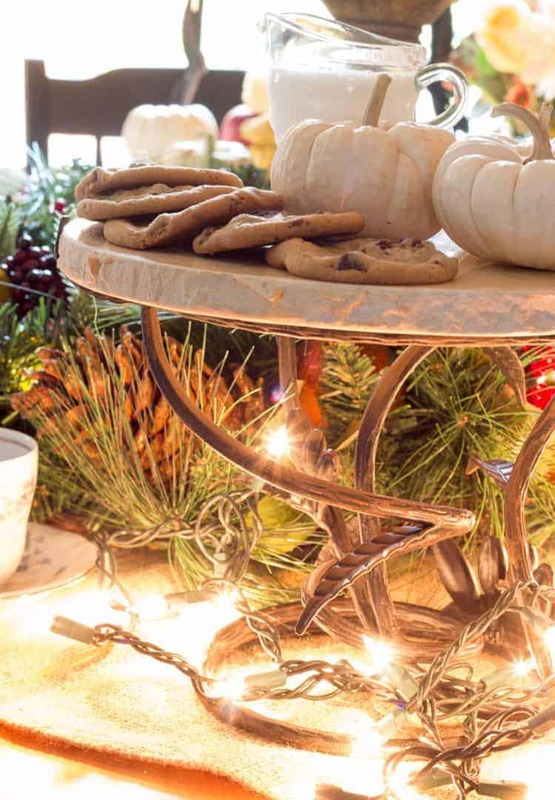 They are so versatile and I’ll be using the cake stand for Christmas cupcakes and the 2-tiered stand for appetizers for the holidays and fun ahead. Once the holidays are over, I can see myself using them again, and again, and again. p.s. I also added a string of white lights for no other reason than they are a wonderful way to add more of the holiday feel to the tablescape. 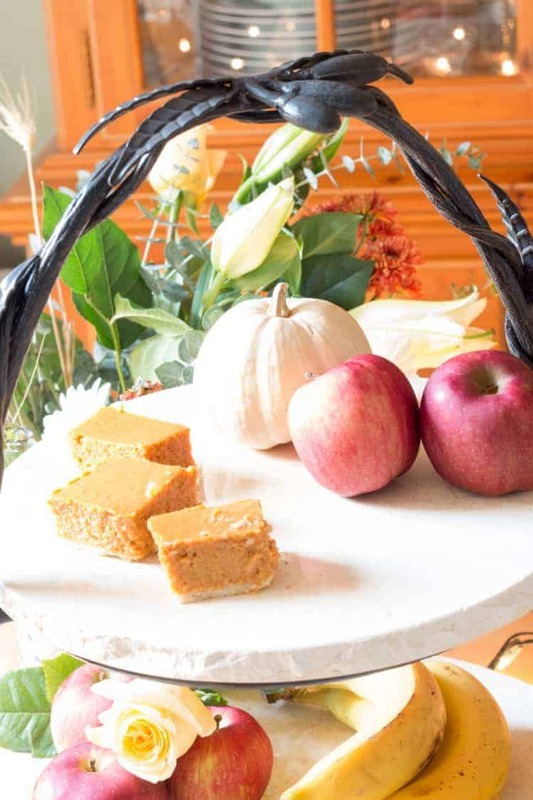 Balsam Hill collaborated with five other amazing and talented bloggers who are all sharing beautiful tablescapes and traditions and you can check them all out below. 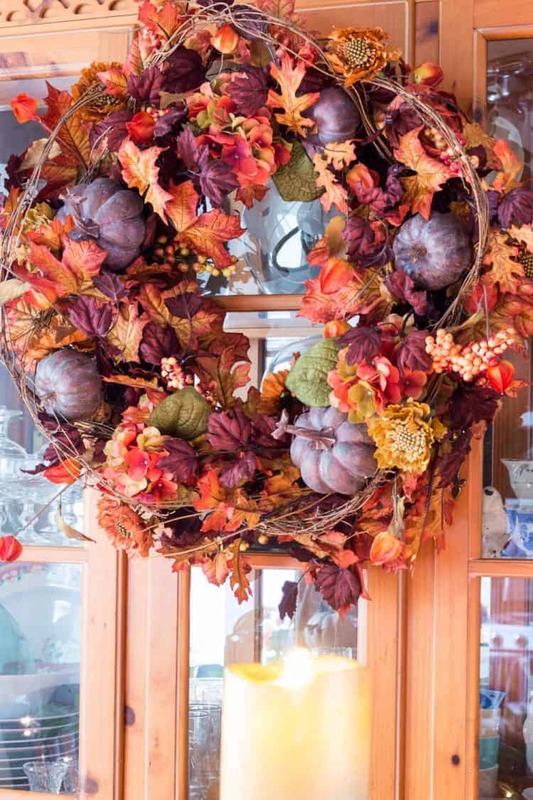 The first giveaway is this beautiful wreath. 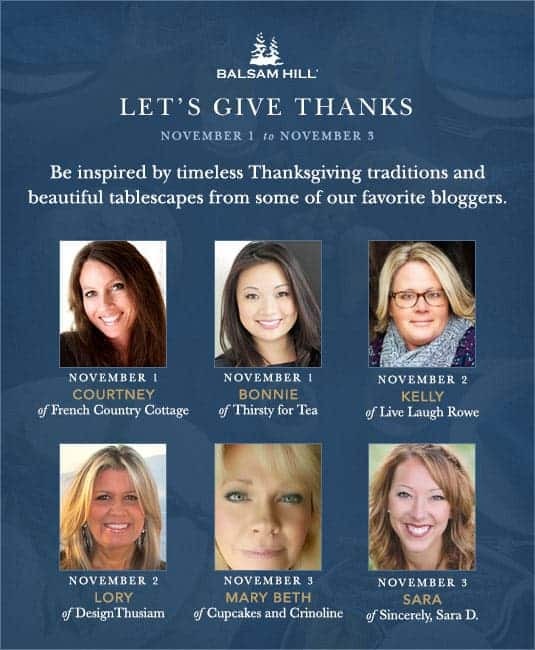 Leave me a comment with your favorite Balsam Hill autumn product. 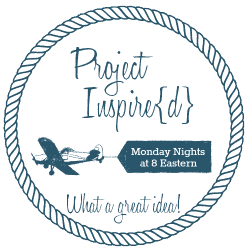 I’ll be picking a winner randomly and will notify you via email. 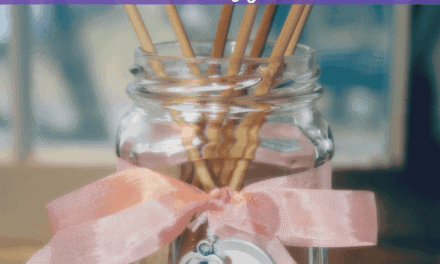 Each day, there will be a question relating to the blog hop that will be posted on Facebook. All you need to do is simply comment with your answers to gain an entry. Winners will be announced every day at 8 PM PST. 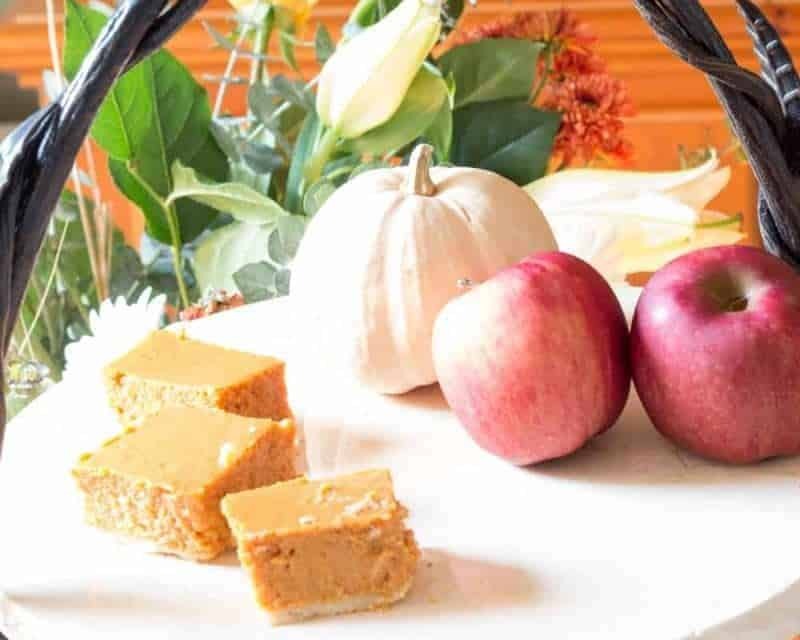 Prizes include fall foliage and harvest decor.